The recently deceased Muhammad Ali was known first and foremost as a boxer. But, of course, this wasn't the only strength the legendary fighter had — as the heavyweight champion himself said, he wasn't just a boxer, not at all. "I'm not just a boxer — I can talk about all week on millions of subjects," Ali himself said during an interview in 1974. This was never more evident than in this 1981 interview featuring the legend, which is without a doubt the one Muhammad Ali interview everyone needs to watch. 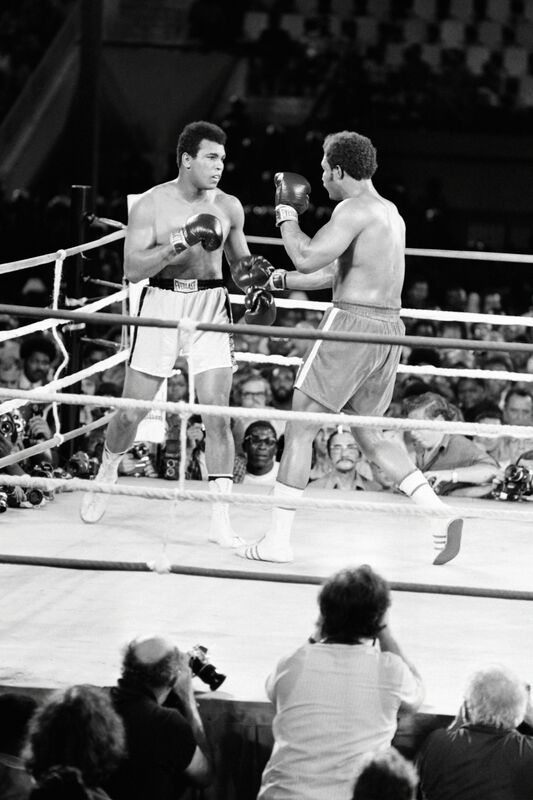 Ali was a man of prodigious intelligence and eloquence, who was as unafraid of fighting onscreen as he was in a ring. His back-and-forths with interviewer Michael Parkinson give the audience a great deal of insight into Ali's own perspectives on politics and religion, but we weren't the only ones to enjoy them. According to the British newspaper The Mirror, Ali coped with his diagnosis with a serious illness in one key way: "When asked how the 74-year-old copes with the Parkinson’s disease he was diagnosed with in 1984 [his wife, Lonnie Ali, said]: 'He watches the Parkinson interviews.'" Their rapport and comfortable demeanor around one another is clear from the start — and is only more and more evident as the interview goes on, especially when Ali says the following, "Take this interview as an example. Look how we’re talking and how I’m handling you. You are a wise man and boxers can’t do this, even boxers who don't take beatings, even young boxers. This is knowledge and wisdom, this is brain. Look how we’re talking. This looks like my show." The Mirror cites Parkinson as being extremely complimentary in his tribute to the boxing star on Radio 4 Saturday morning when asked about the first time he met Ali backstage: "It's not often, given the job I had, that I was allowed to be gob-smacked, but he did gob-smack me as he walked across the floor. I'd never seen a more graceful and beautiful man. He was extraordinary." So make time today to remember Mohammad Ali as he was out of the ring: smart, impassioned and every bit as significant outside the ring as he was with a pair of boxing gloves on.